“Okazaki Tokiakari” is an event which began in 2011 with the goal of creating a new way to showcase the charms of Okazaki by turning the nighttime scenery of Okazaki into a work of art and creating an event where many visitors can enjoy exploring the Okazaki area. The main feature of this event is projection mapping performance. Since 2013, participation in this portion of the event has been open to the public. At this time we are soliciting participants for a Creator’s Workshop to help in the creation of projection mapping entries which will compete for the Okazaki Tokiakari Award 2018. This year, the location is in front of the Kyoto Municipal Museum of Art annex(the location is in a “LOHM SQUARE”),because the Kyoto Municipal Museum of Art will repair. This Creator’s Workshop is a training course designed to help participants create their own projection mapping entry. We are looking for young or new creators who are interested in creating their own images and designs. The works created during this workshop will be entered into the Okazai Tokiakari and compete for the Okazaki Tokiakari Award. This year’s theme is Okazaki Modern. Participants will be asked to create new imagery of the history and natural features of Okazaki, along with thinking about the future development of the Okazaki Area. l You should have a space with the necessary equipment where you can create images or video, previous experience creating images or video is necessary. However, no experience with projection mapping is necessary. l You can participate as an individual or as a group. l The Workshop is limited to 30 people. The application period will close once all participants have been selected. l In order to participate in this workshop you should have the above software installed on your computer or if you are participating as a group have potential access to at least 1 computer with the above mentioned software. (You may need to use the software during some of the lectures). l Please send an application to the email address listed on last page to submit your entry. 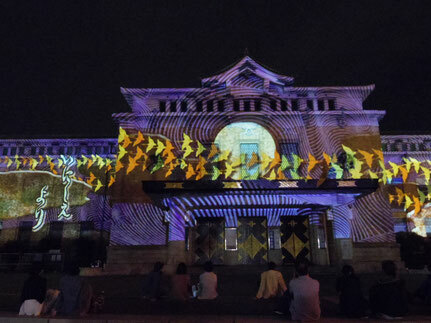 l Projection mapping entries will be displayed on the Kyoto Municipal Museum of Art. l Works created through the Creator’s Workshop will automatically be entered for the Okazaki Tokiakari Award. l Entry length should be within 60~180 sec. Assignment for creating a simple video project will be checked, as well as the concept for each participant’s entry for the Okazaki Tokiakari, and afterwards participants will start working on entries. Participants will share a rough version of their entries and receive instructor feedback, and participants will continue to work on their entries. 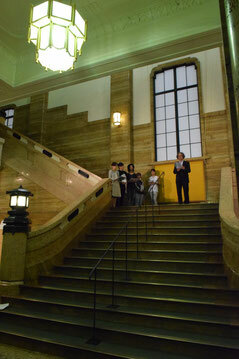 Addition, we carry out the lecture about the music to direct a work more effectively. 4. Okazaki Tokiakari annex 2018 eve(Friday September 14, 2018 2pm-9pm) Location: In front of the Kyoto Municipal Museum of Art annex. For Workshop Participants: your entry which was completed during the workshop will be automatically entered into the competition. For General Public: Anyone with the technological skill necessary to create an entry can submit their work regardless of nationality or place of residence. Based on the rules and format indicated by the sponsor, please submit each entry individually. l After you enter the sponsor will send an email with information on rules and format. l If you have any questions or wish to confirm the rules and format before submitting, please see contact information listed on last page. l The production expenses aren't paid and the voyage expenses when visiting Japan, aren't also paid. Please be aware that the sponsor cannot accept any entry that does not match the required format. How to Enter: Please send your name, address, and information to the email address on last page. The cutoff time will be strictly observed. Late submissions will not be accepted. l The entry will be shown in an outdoor public space, please keep to public order and standards of decency. l The creator of the projection map work is the copyright holder, however the sponsor holds the rights to use this work in regards to Okazaki Tokiakari. l After the work has been shown at the Okazaki Tokiakari, it is okay to make individual announcements using photographs and videos. then there will be a pre-screening of entries. 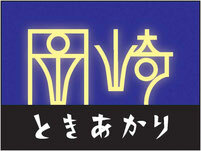 l A work created for Okazaki Tokiakari can be used for promotions, public relations, and other matters. l Production expenses and travel costs to visit Japan are the responsibility of the individual.
. We contact the person whom there was of the entry directly. *CD-R, USB Memory, or any other physical data medium that is sent by mail will not be accepted. * Please adopt the way it's possible to download at Japan as a file. After submitting it for confirmation, please contact an inquiry by mail. 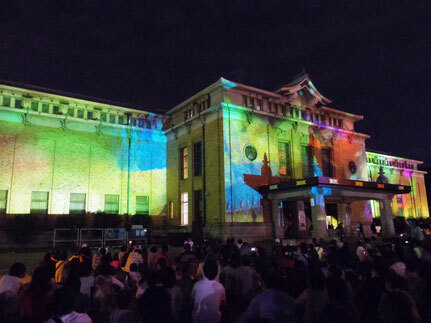 l This event features light-up, projection mapping and other performances, related special nighttime openings of facilities, along with individually planned collaboration musical performances all to be held at night in the Okazaki area.